Happy little mitx motherboard. Bios I'd easy to work with so I've got no complains so far. Great ITX board! The dual NICs + Wireless are great if you use an OS that can take advantage of teaming, making it great for something like a small form factor NAS. 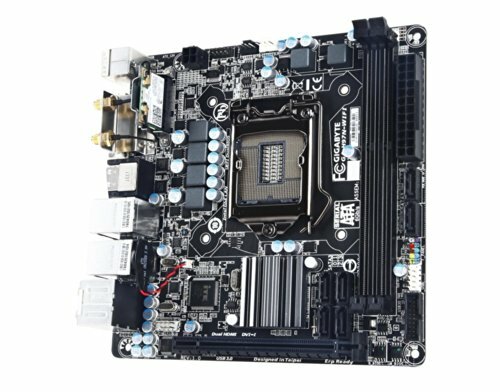 Very quality motherboard, would highly recommend. I could not have asked for a better motherboard for my first build. It is very sturdily built and has excellent header placement. The wifi card included was just a bonus! Amazing motherboard, especially when you can get it on a decent sale like I did. Dual NICs plus WiFi make this a prime choice for a NAS build, although you will have to be using something like windows server or linux to really take advantage of any sort of teaming between the 2 NICs at once. Honestly there's not anything more I could possibly want from a H97 mini ITX mobo. It's got all the I/O you could want/need, 6 full Intel controlled Sata 3 (6Gb/s) ports, which a lot of full size ATX Z97 boards don't even have, and more. 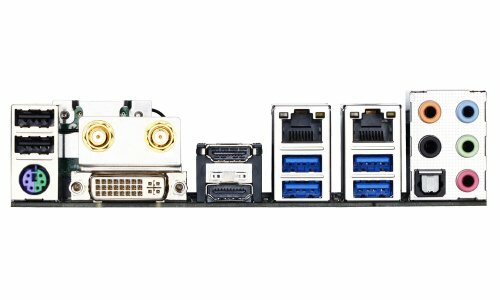 Would highly recommend this board for any NAS build. Sleek and small. Not complicated to build on. Stable so far. 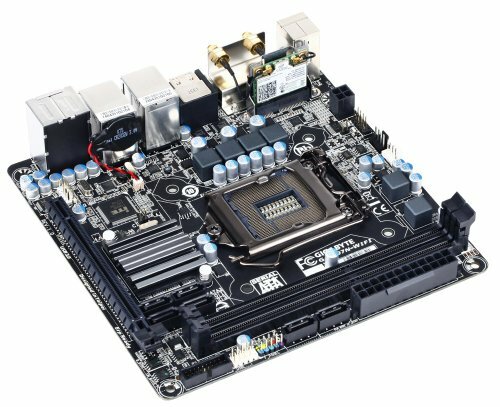 Countless hours of research went into finding a relatively cheap, yet durable and trustworthy ITX motherboard, and this board more than satisfies those qualifications. It also has excellent WIFI performance and is perfect for any non-OC processor. Does the job, it's pretty ugly IMO and the wifi antenna is kinda cheap, the cables are breaking for me. Also, you can overclock but you can't go past 1.2V so yeah... disappointing. No compromises here from Gigabyte. WIFI, dual-lan, lots of USB ports and pretty good looking. Huge fan of this little guy.